SmartList Builder allows you to create both brand new SmartLists or modify existing SmartList. You can link up to 32 tables together. Tables can be standard GP tables, any of the Third Party (ISV) tables, any SQL table, SQL views or SQL Scripts, other SmartLists or Extender resources. 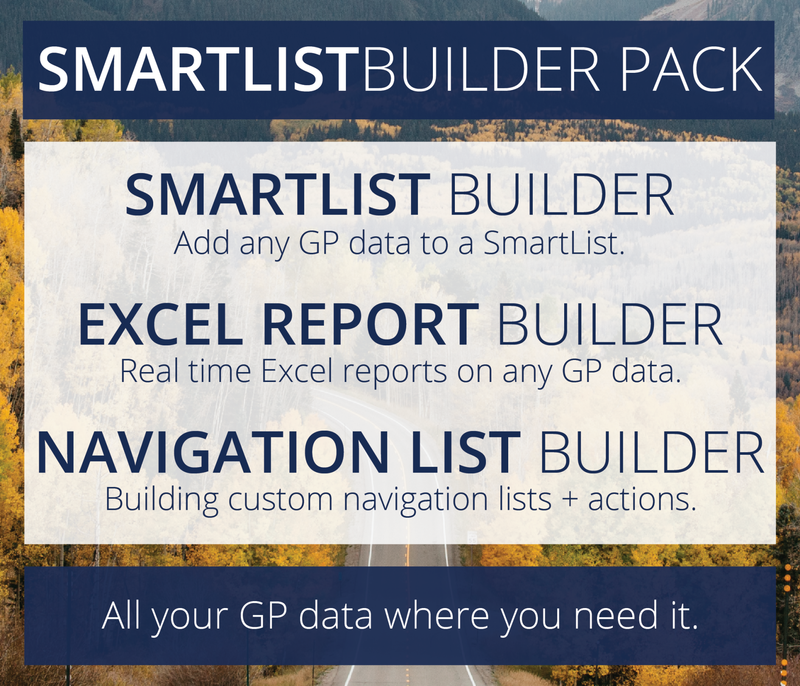 SmartList Builder is the most popular add-on for Dynamics GP with more than 15,000 companies benefiting from SLB every day. Excel Report Builder generates an Excel Spreadsheet with a live connection back to GP or any other data you include. This means you have live refreshable reports, anytime you need them. You can give all your data from GP to anyone in the organization via Excel – without buying new, full-user licenses of Dynamics GP. 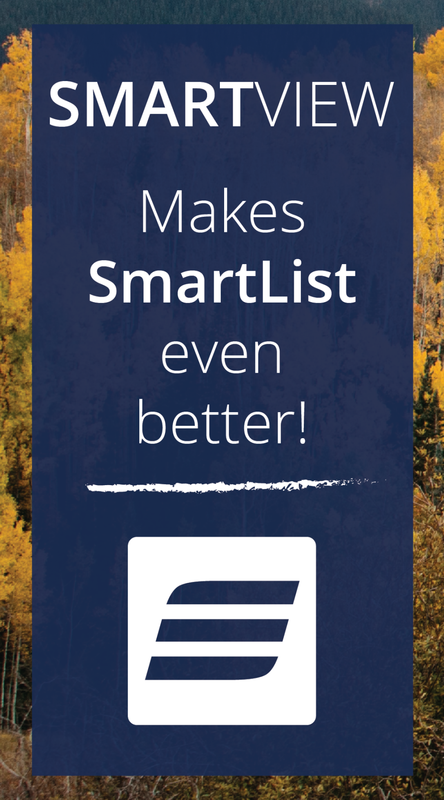 Love SmartList Data but want the flexibility and functionality of Excel? 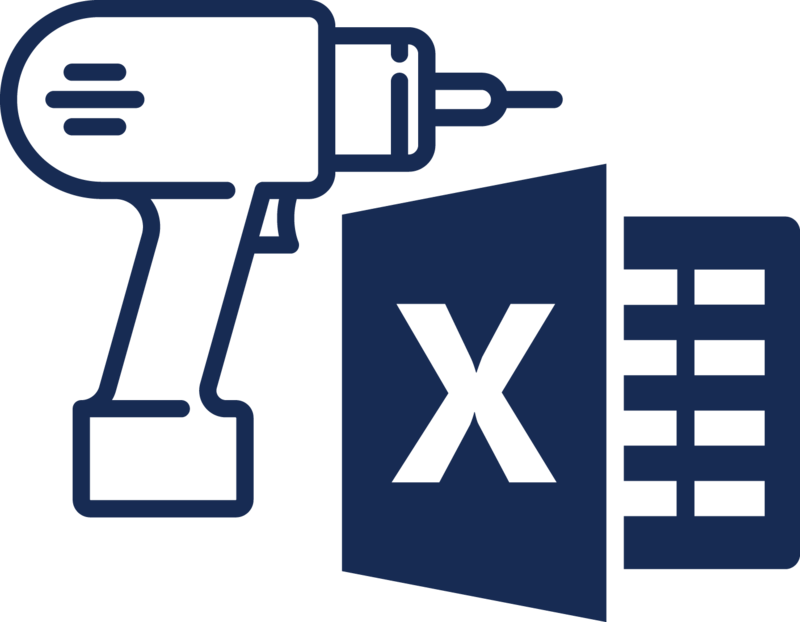 Drill Down Builder completes the functionality of Excel Report Builder by letting you drill from your spreadsheet back into that same record within Dynamics GP. Where Microsoft hard codes a drill down – eOne makes it completely configurable to allow you to drill down to any screen or SmartList in Dynamics GP. This is an essential part of bringing the most common business tools together. Working in GP and Excel all day – it only makes sense to auto-switch between one and the other. Navigation List Builder allows you to publish your SmartList into the Navigation List user interface. This means that you are able to improve the efficiency of the Navigation Lists by restricting that data for each list – rather than running the initial list that may contain millions of records. Connecting actions with the new lists adds the real power to Navigation Lists. You build specific lists for certain roles or individuals and then link up all the things that user need to do with that data. This means many users need only ever start from one screen in Dynamics GP and do ALL their work form the one place and the one list.